Parish Hall 6:00 P.M. - 1:00 A.M.
*Limited to 300 shares. 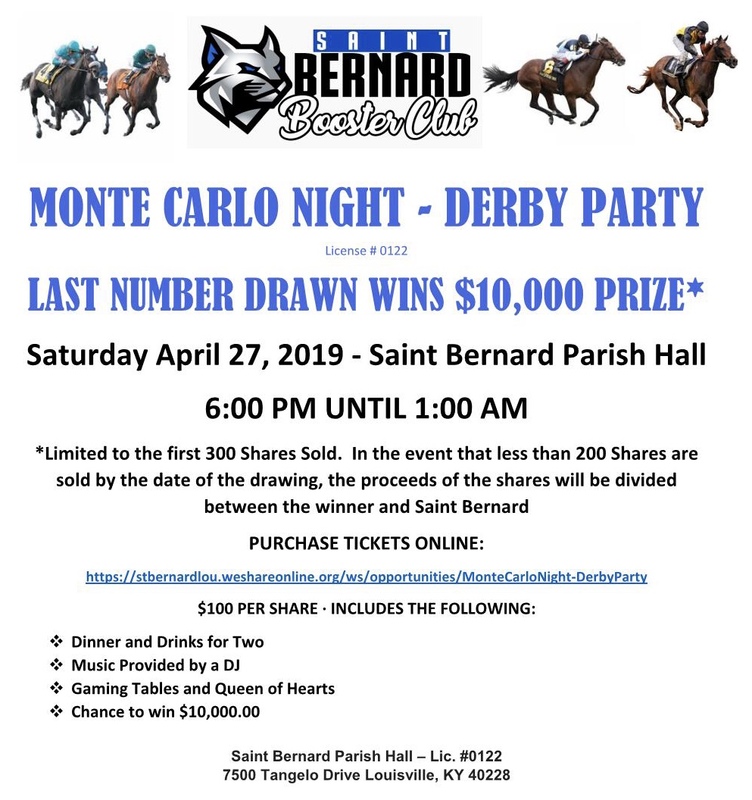 In the event less than 200 shares are sold by the date of the drawing, the proceeds of the shares will be divided equally between the winner and St. Bernard. External links are provided for reference purposes. St. Bernard Booster Club is not responsible for the content of external Internet sites.